This is the part where I usually engage in some discussion about tea, not any old tea but pu’er, the vaunted king of teas or perhaps I should say queen of teas, as pu’er is the mother source of all tea throughout the world. My tea exploits are comprised of two parts: one is primarily for health professionals; the other is for tea enthusiasts. In both instances, the objective is to not only provide quality and value but also uniqueness, stuff that you’re not likely to find on-line. To this end, I’d like to introduce you to the veal of tea, Yabao, stuff you can have without a guilty conscience. 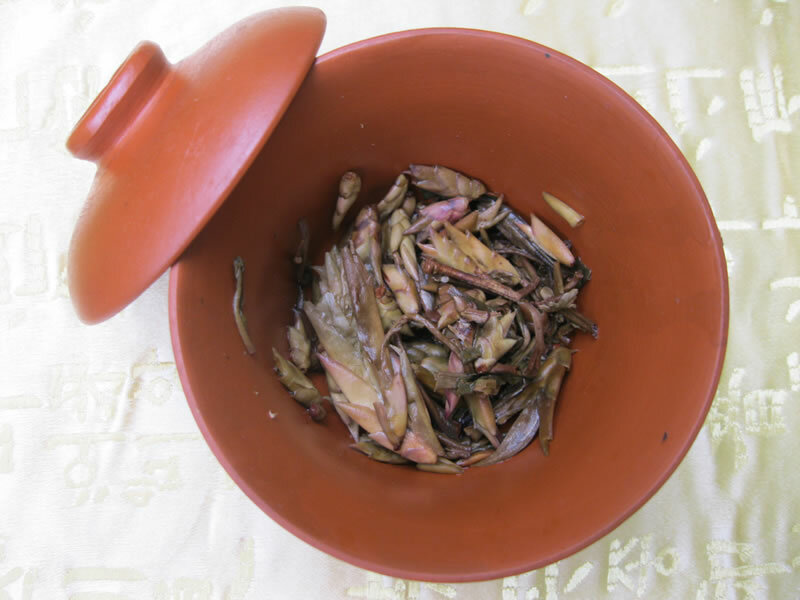 Yabao is comprised of the shoots of the tea tree branch, as opposed to the leaf. It yields certain distinguishing features, a resinous perfume being primary among them. Quick infusions produce a crystal clear liquor ranging from a champagne to goldenrod caste. Enough cannot be said about the uniqueness of its flavour, not in that “do I like this” uniqueness but in a way more usually associated with the flavoured Indian teas. For me it really evokes a sense of sandalwood and cedar. By the way, cursory search for longgan did not turn up any appealing prices, so just reach out if you’re really interested. As far as the Yabao is concerned a 357/g cake goes for $39 and I’ll be running a discount special of 15% until the full moon of October.